AUSTRALIAN Paralympic swimming champion Brenden Hall has been collecting commemorative coins from sporting activities, including the Olympics, since he was a child. For him, they trigger a memory about the event. "Every time that happens, it gives me goosebumps," he said. "Mum started me young, and I'll always hold on to these sporting treasures." The amputee swimmer, 24, from Queensland is now making history by helping to release the new $2 coins being released for the Gold Coast Commonwealth Games. The first of three $2 limited edition coins will be launched into tills at Woolworths stores across Australia today. 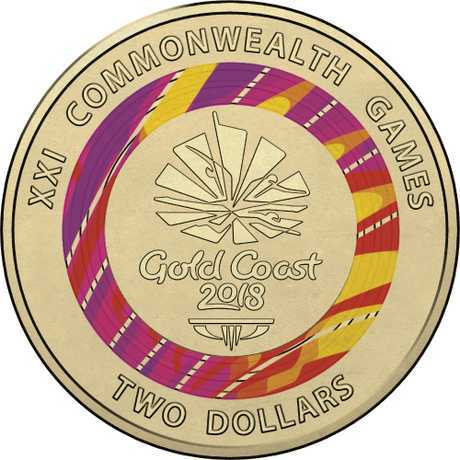 A total of eight million special edition Gold Coast 2018 Commonwealth Games $2 coins will enter circulation via Woolworths from now until April 4. 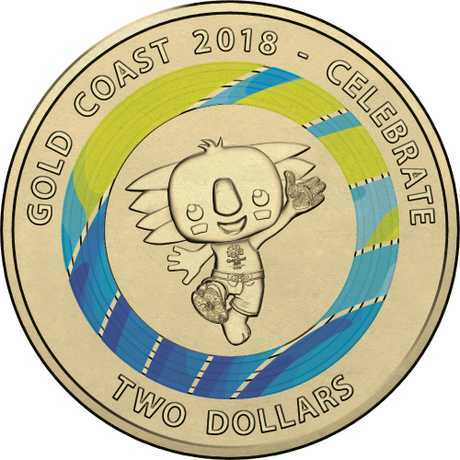 Developed by The Royal Australian Mint, the coins feature designs honouring the Australian team, the host city and its mascot, Borobi. The three coloured rings around each $2 coin reflect the Gold Coast landscape - the yellow sun, blue sky and sea, the lush green hinterland and its wildlife. Hall has previously won two gold medals at the 2012 Summer Paralympics in London. He represented Australia at the 2016 Rio Paralympics where he won one gold, one silver and one bronze medal. He told News Corp Australia that he was hoping to bag two gold medals for his events, and if he got a personal best it would be "fantastic". Now the countdown is on for the Games, Hall said it would be "quite a special occasion". "We get to go as one team to these games, unlike the Olympics where we go separately as Paralympians. 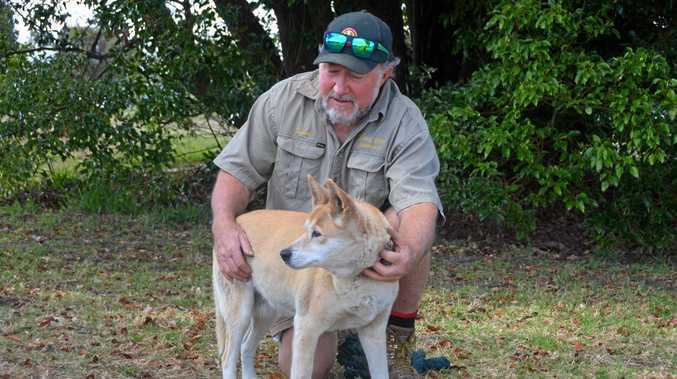 To get up and represent Australia and to be able to do it in my home country is humbling and exciting," he said. The Royal Australian Mint is also releasing a limited edition Gold Coast 2018 Commonwealth Games Coin Collection album that will be available at Woolworths for $15. Royal Australian Mint CEO Mr Ross MacDiarmid said the seven coin set treasure captures the spirit of the games. "The Royal Australian Mint has a proud tradition of marking our nation's greatest sporting moments through coins, medals and medallions," he said. "Capturing the essence of the Gold Coast 2018 Commonwealth Games, this unique seven coin set treasure will be a fitting symbol of the unity, athletic prowess, culture and passion that will be displayed on the Gold Coast in April 2018." Woolworths Director of Marketing Andrew Hicks said; "We are really excited that we can bring a taste of the Gold Coast 2018 Commonwealth Games to local communities. 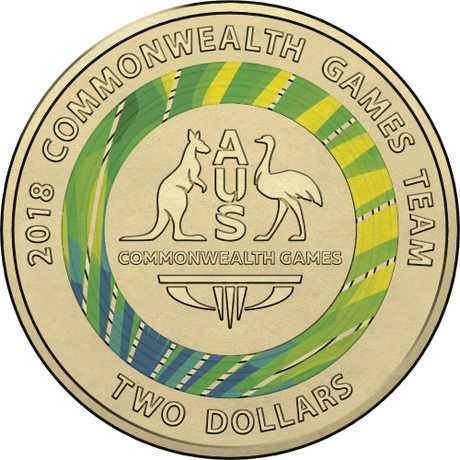 The release of this coin collection exclusive through Woolworths is just one of the ways we are helping our customers support our Australian team at Gold Coast 2018 Commonwealth Games and we hope it inspires a new generation of home grown athletes and sporting champions."